Internal Customers Need Love Too! I used to have a boss and whenever she walked over to my desk, I’d cringe. Her desk-side visits meant one thing, I’d done something wrong. Her philosophy was when you got it right, you were just doing what you were supposed to do. She felt commendations and praise were too ‘touchy-feely’. Those efforts didn’t require desk-side visitation. The morale of our team suffered because we never heard anything good from our manager and the overwhelming majority of the work we did was good. A little acknowledgement would have gone a long way. Too many times, we fail to give credit where credit is due or even show a little appreciation to those closest around us. It doesn’t feel important. In my old boss’s view, criticism was a better motivator than praise. She was wrong. But she isn’t alone in her preference for criticism. People who receive excellent customer service tell, on average, three other people. If they receive poor service, however, they recount that experience to at least 11 people. Think about how good you feel when you get an honest compliment or when someone values your hard work. Now, take that feeling and pay it forward. Here are some ways to acknowledge and appreciate those around you. Don’t keep quiet! Let people know about a job well done. Remember birthdays. It’s a little thing but it shows that you cared enough to remember. Celebrate successes. Good grades, a promotion at work, losing a few pounds, all of these things take a lot of effort. Acknowledge the hard work. Acknowledgement and appreciation help us focus on the positive and the good that is always going on around us! Recently, I started volunteering for a job readiness program. I’ve been dealing with a lot of my own struggles and I felt it was time that I got out of my own box and out of my own head and did something for someone else. On my first day, I observed the first session for a new class full of job seekers. One of the first things the instructor said was that if they were going to be successful, they’d have to have the right attitude. And that attitude was one of professionalism and a willingness to do the work. A positive attitude is critical to any real or lasting success. Your attitude is the canvas that your life is painted on. So exactly what is attitude? Well, it’s more than emotion or a feeling. It’s more than positive thinking. Your attitude is your overall outlook. It’s how you view a situation. It deals with how you see yourself and how you perceive others. Having a positive attitude doesn’t mean that you are always happy but a positive attitude does mean that you will get back up sooner than later after falling down. A positive attitude is one where you accept that you — and not a partner, job, economic downturn, political party or society — has the ultimate control over your life. A positive attitude doesn’t come from a place of helplessness. When it encounters obstacles it doesn’t throw up its hands and declare defeat. Instead it puts its head down and gets to work, finding another way, looking for other options and sometimes even creating opportunities. Attitude fuels belief. Consider this. You can’t have a positive attitude and negative beliefs. It just doesn’t work. You can’t have a positive attitude that says ‘anything is possible and then believe that ‘nothing good will ever happen’ for you. If yours is a negative attitude then it will be difficult to have positive beliefs come from it. Beliefs fuel action. If you believe in persistence, then if one door closes, you will continue to push forward because you believe that you will eventually get that open door. If you believe that nothing good can happen for you, then as soon as that door closes, you will take that as proof of your negative belief. And chances are you will not find that open door. It all starts with attitude. And you, … not anyone else has the power to create your attitude and the power to control it. 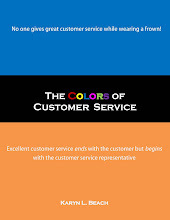 The Colors of Customer Service blog is being revived. Look for new blog posts every Wednesday and join us on Twitter at @Colorfulservice. 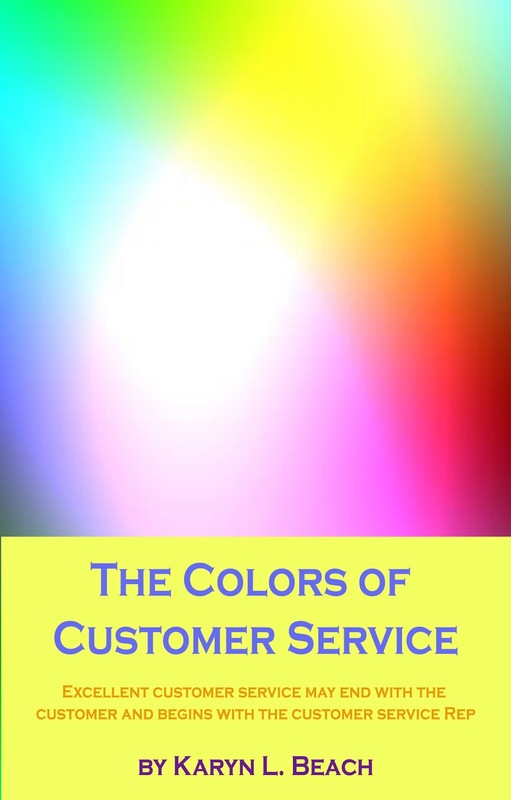 We'll blog on the best in worst in customer service, tips and tricks for Customer Service Reps and reprints of informative customer service articles. Follow us on Twitter and Bookmark our blog!